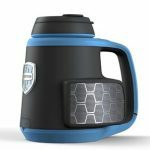 Take this year’s tailgating season to the next level with the help of some awesome gadgets and accessories that I’ll be talking about in today’s article. From making sure that your drinks stay cold, home-cooked meals warm, meat grilled to perfection and even tracking your beer with a remote when things get rowdy, I got you covered. 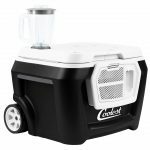 Cold beer and good music are tailgate must-haves so why not invest in an equipment that will provide both. Tunes2Go is a 40 qt. 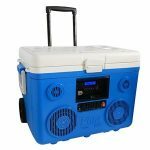 portable cooler with 350 watts max output power Bluetooth digital music player and FM radio. It’s built-in rechargeable battery can last up to 16 hours of playtime. There’s also another one from Coleman which is more expensive because aside from the 55 qt. speaker and Bluetooth speaker, it also comes with a blender, USB charger, LED lid light and a wine & bottle opener. Speaking of beer and tunes, here’s another smart product for you – a Splashproof Stereo Speaker with Beverage Integration. How cool is that? Now you have your beer AND your favorite jams “in hand” wherever you go. Savor the moment and enjoy the pre-game more instead of just being tending the grill and missing out on the fun. 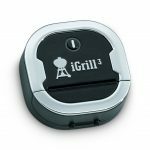 With the Weber iGrill 3 Thermometer, you can track the doneness and temperature progression straight from your phone – no more having to lift the lid. 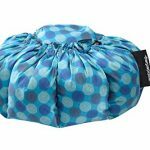 For home-cooked meals, make sure they stay warm by the time you reach the tailgate venue with The Wonderbag, a non-electric portable slow cooker that will slowly cook or heat the food after boiling on a stove for up to 12 hours. With its clever insulation, you can put a hot pan directly from the stove into the bag before you hit the road. Where’s my beer? Is this beer mine? 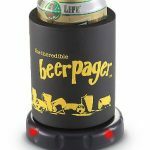 Never misplace your beer again with this beer pager that you can control via a chain-sized remote control. So yeah, it’s time to grill out, have a beer and cheer on your favorite teams!